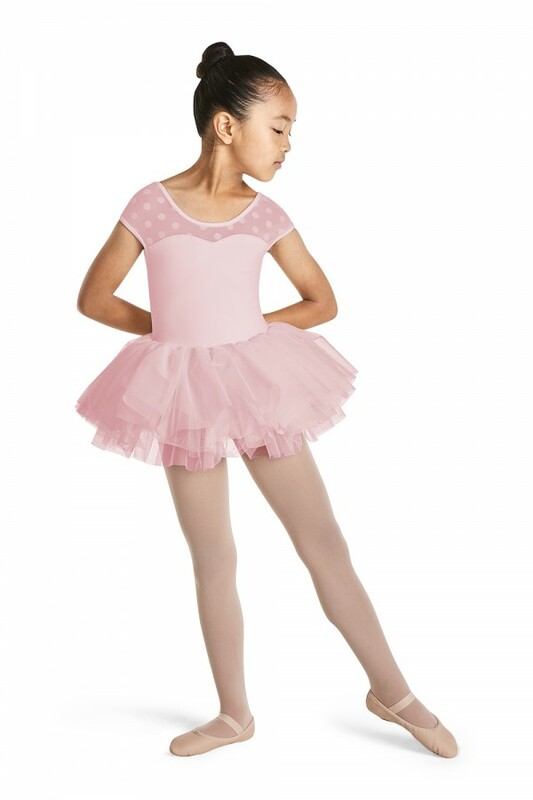 Your tiny dancer will look ‘tutu’ cute wearing this adorable cap sleeve leotard dress, an all in one piece which can be pulled on easily over ballet tights making it ideal for the young budding ballerina. The polka dot flock mesh cap sleeve design sits firmly on the shoulder and continues into the scoop front neckline. The polka dot flock mesh continues around to the scoop back. A sweetheart bodice adds sweet detail. 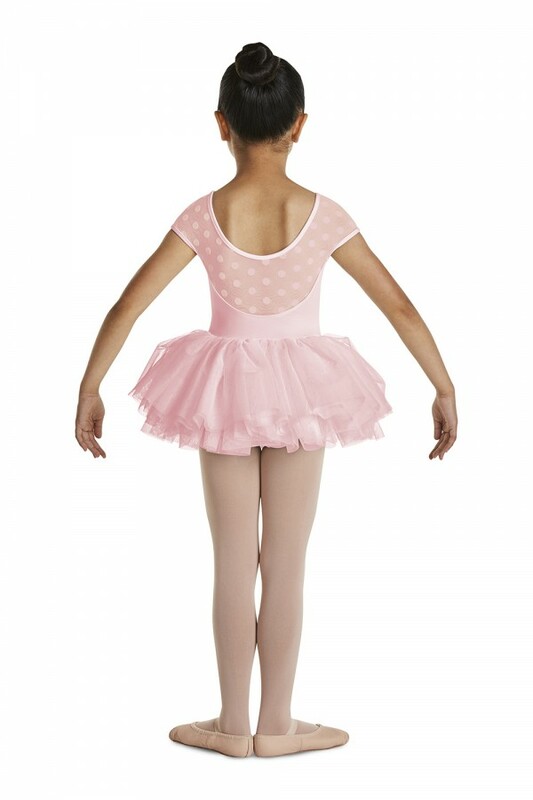 A beautiful feature to this garment is the voluminous, fluffy attached tutu skirt. Crafted in graduating layers of soft tulle, this beautiful ready made tutu dress is an effortless outfit that will have your ballerina ready for class.